Attacks and intimidation by the Taliban against last month's parliamentary election in Afghanistan resulted in a record number of civilian casualties, the United Nations said on Tuesday. At least 435 civilian casualties were recorded - 56 people killed and 379 wounded - on election day, Oct. 20, and subsequent days when delayed polling took place, the United Nations said in a report, adding the toll was higher than that in four previous elections. The United Nations said there had been "a deliberate campaign intended to disrupt and undermine the electoral process". The Taliban, fighting to oust foreign troops and defeat the Western-backed government, issued a series of threats against the election, with three separate warnings in the days leading up to the vote. Several attacks on voter registration centres also took place in the months before the election, some claimed by Islamic State. The United Nations said attacks by anti-government elements, mostly the Taliban, were carried out with rockets, grenades and mortars as well as improvised explosive devices. The United Nations also pointed to a campaign of threats, intimidation and harassment, including abductions before the election. 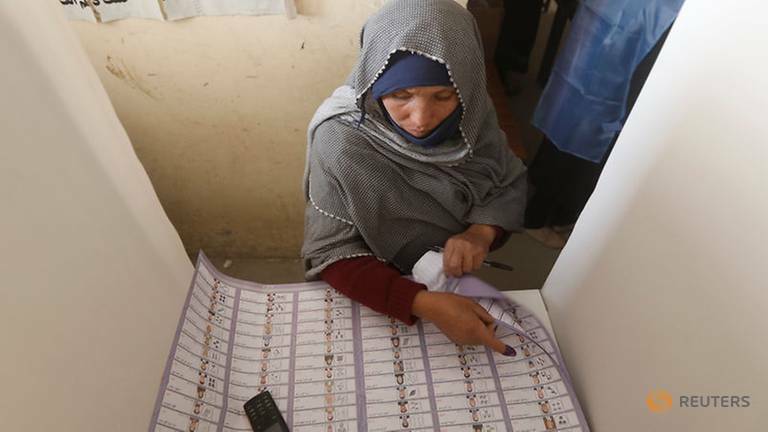 "The Taliban's actions forced many ordinary Afghans to choose between exercising their right to participate in the political process and risking their own safety," the United Nations said. The results of the parliamentary election are still being tallied. A more important presidential election will be held on April 20.